WHY GO: Though Staunton VA (pronounced like “stand ton”), is best known as hometown of President Woodrow Wilson and as the rather unlikely setting for the American Shakespeare Center, this mid-Virginia burg will also delight those with any interest in design or architecture: most of the diverse structures lining downtown streets, fashioned by the same “Pattern Book” fan and architect, TJ Collins, between 1890 and 1911, have been restored to their original beauty. An innovative, sophisticated dining scene, an intriguing New World living history museum, and an Historic Hotel rounds out this surprisingly cultural getaway, just minutes from the Blue Ridge Parkway. 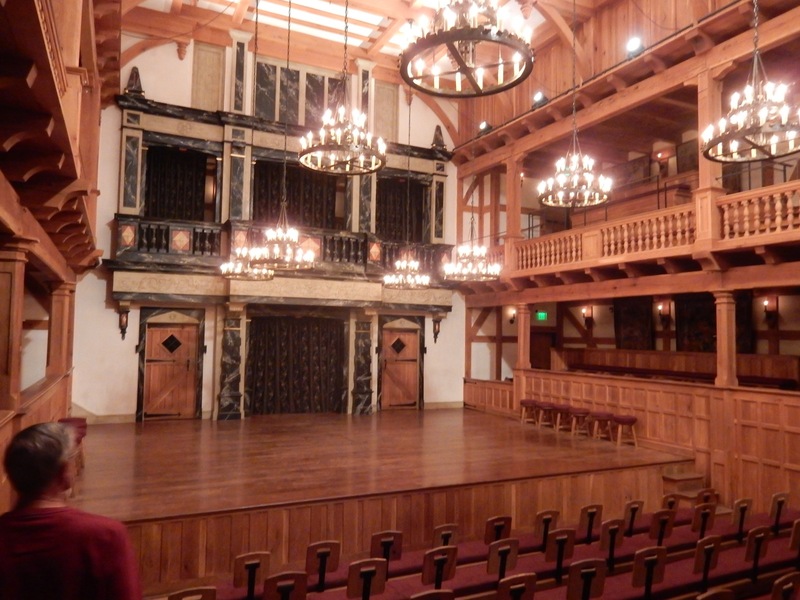 TOUR/THEATER: Blackfriars Theater, Home of the American Shakespeare Center. 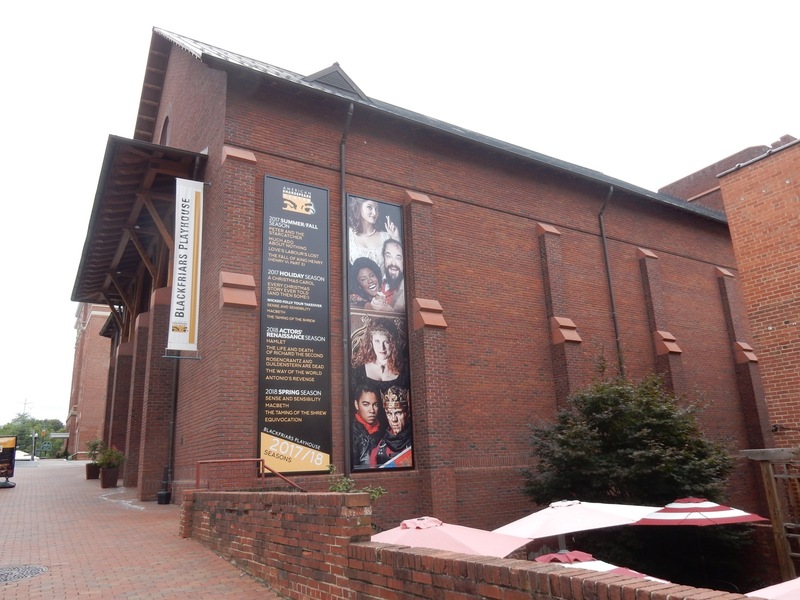 A backstage tour of the “World’s only recreation of Shakespeare’s indoor theater,” Blackfriars Playhouse, is a highlight of a stay in Staunton – even if you don’t catch a professionally mounted show there. Like the “Let’s put on a show in our backyard barn!” scenes from Judy Garland/Mickey Rooney movies, Staunton’s Blackfriars Theater sprang from a gun-ho, grassroots movement. Spearheaded by Jim Warren and James Madison University Professor, Dr. Ralph Alan Cohen, a JMU production of King Henry V in 1987 was the impetus to build this permanent theater in 2001. A plaque in the lobby identifies the “Original sharers of Lord Chamberlain’s Men” – the financial backers of Shakespeare’s plays in 1590 – indicating that the arts have required funding and patrons from the very start. The tour continues into the Elizabethan theater, and then onto the boards, where we’re informed of Shakespeare’s “staging conditions:” some, but not all, followed today. Yes, the theater company now includes women, not young men to play girl parts. And the stools for patrons must keep to the sides of the stage, whereas elite theatergoers in the 1500’s could sit in the center of the action. But, just as it did originally, the houselights stay on during each performance, and gods still descend from a trap door in the ceiling, while demons, ghosts and supernatural characters emerge from a hidden door on the stage floor. Shakespeare was quite au-courant and would have used the contemporary music of his day in his plays, so these days, pop and rock rule. Next, it’s behind the curtains and then downstairs to learn about the guts and workings of this impressive organization. 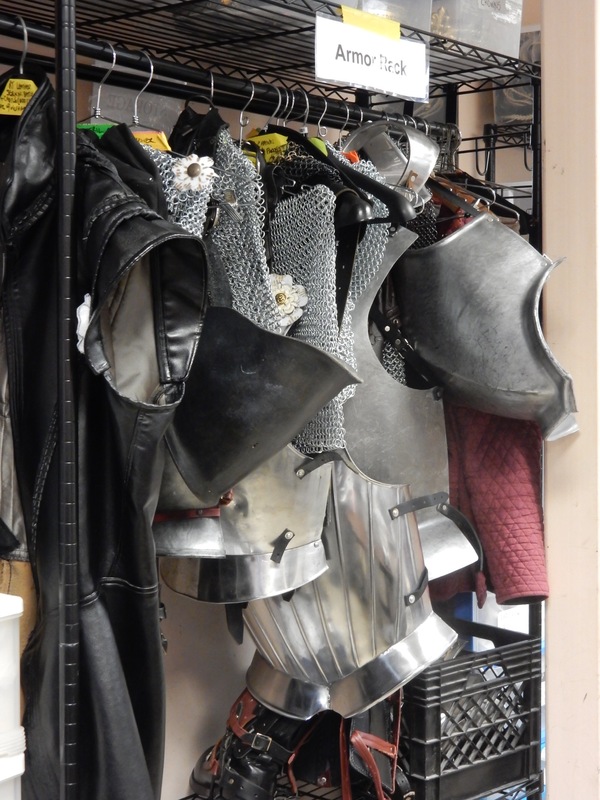 Costumes and props – like swords, chainmail, and severed heads for the current production – are stowed in a small room after being “sourced from heaven,” a much larger space, containing thousands of costumes, on the top floor. 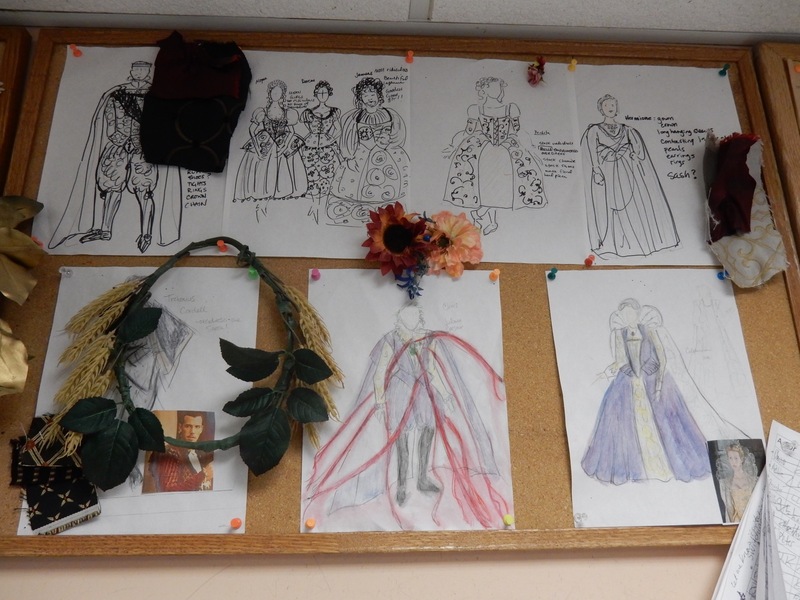 You’ll learn about how show directors dealt with – and still handle – the buckets of blood required for a typical Shakespearian tragedy, as costumes were very expensive (think, creative use of red ribbons). One hour tours at 11am and 2pm, Sat 11, April – Oct, Mon-Fri 2pm, Sat. 11 Nov-March, $7. TOUR: Frontier Culture Museum. For fans of living history museums staffed by costumed interpreters, you’ll be happy to know that the Frontier Culture Museum is one of the best in the country. You’ll need a car to get here, as it’s about 2 miles from downtown Staunton, but it’s well worth at least a few hours to be immersed in the lives of those who came to the New World in the 17th and 18th centuries. 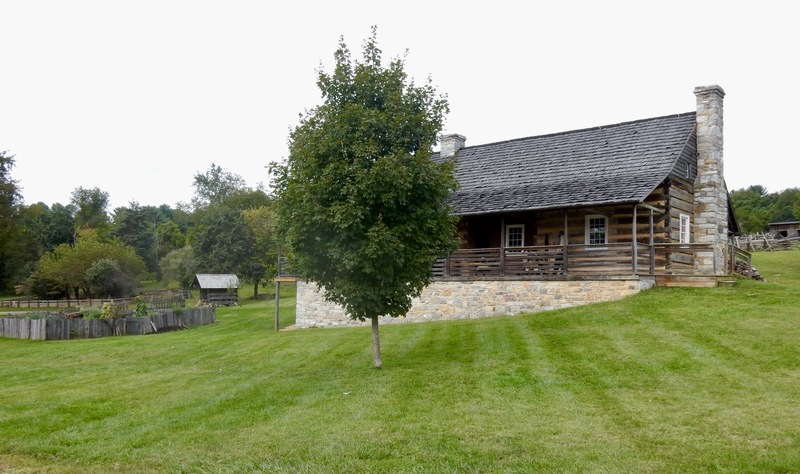 The outdoor museum is divided into two parts: the Old World section – cultures that immigrated here, and the American section, contrasting a 1740 settlement and 1850’s home, schoolhouse and church. A succession of homesteads along a mile-long dirt road represent farms in West Africa, England, Germany, Ireland, as well as a Native American compound from the mid-1600’s until the mid-1800’s. During that era, Europeans settled in the New World, interacted with the indigenous people, and influenced each other, sharing tools and knowledge. Most of the Old World structures (except for the African and Native American farms) were transported from Europe and reconstructed here. The Frontier Culture Museum is uniquely compelling because each pedigreed farmhouse illuminates the forces in the Old Country to drive immigration here. The West African Farm represents what the Igbo Tribe from Nigeria were forced to leave behind in the 1740’s, when they were captured and enslaved here (40% of Africans brought to the New World were Igbo). 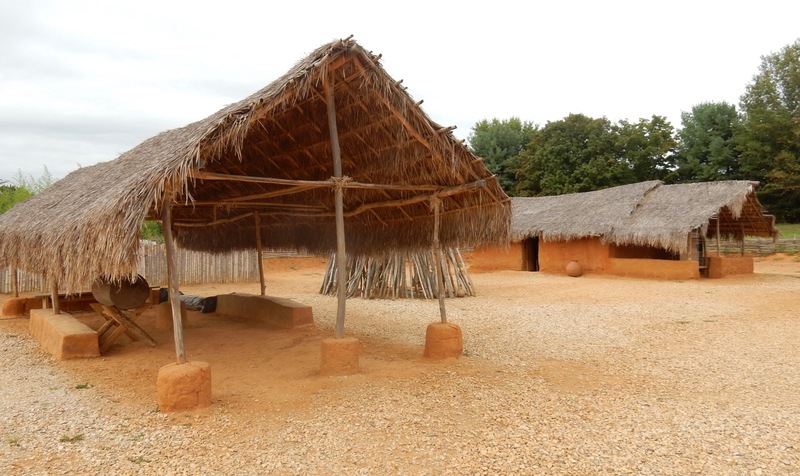 Earthen clay for the thatched huts was mixed by foot so that builders could feel the consistency of the mud. The Igbo brought okra, black-eyed peas and yams, which became the basis for Southern cooking. The English Farmhouse from Hartlebury, England can be dated to 1631 (though the chimney was built in 1692). Inside low-ceiling rooms are reproductions of furniture authenticated by a detailed inventory recorded by the family that lived in this very home. This was a Yeoman’s property – a man considered a member of the “top of the working or good middling class.” Of the 350,000 Englishmen who arrived on these shores from 1600-1700, one quarter paid for passage (others were indentured servants) and thus eligible to purchase land. 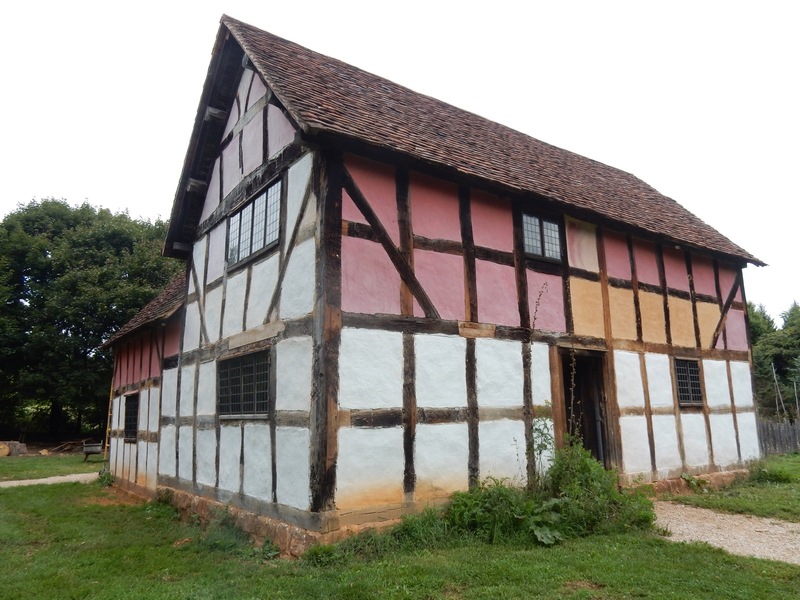 Sixty acres of property, encompassing this 10 room “wattle and daub” home, would have employed over a dozen field and dairy workers. 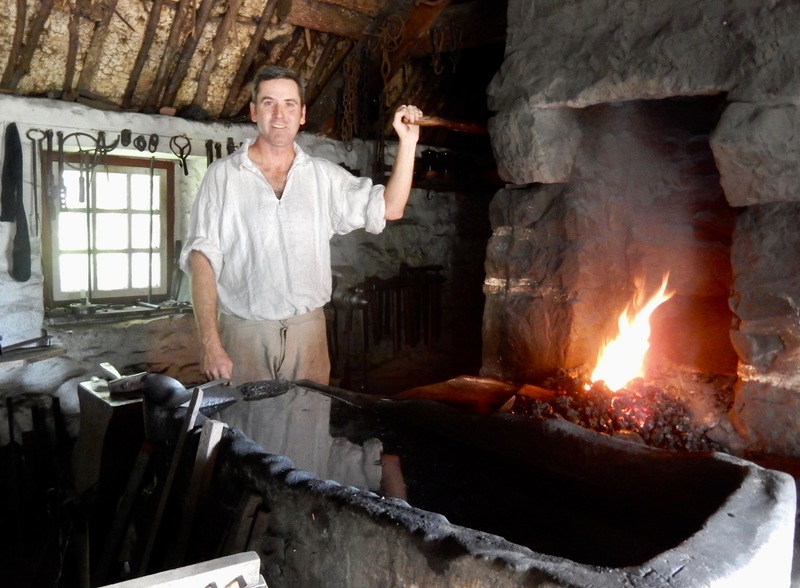 Spend some time in the working 1700’s Irish Forge watching the linen-clad blacksmith hammer out hardware for buildings, and kitchen tools. 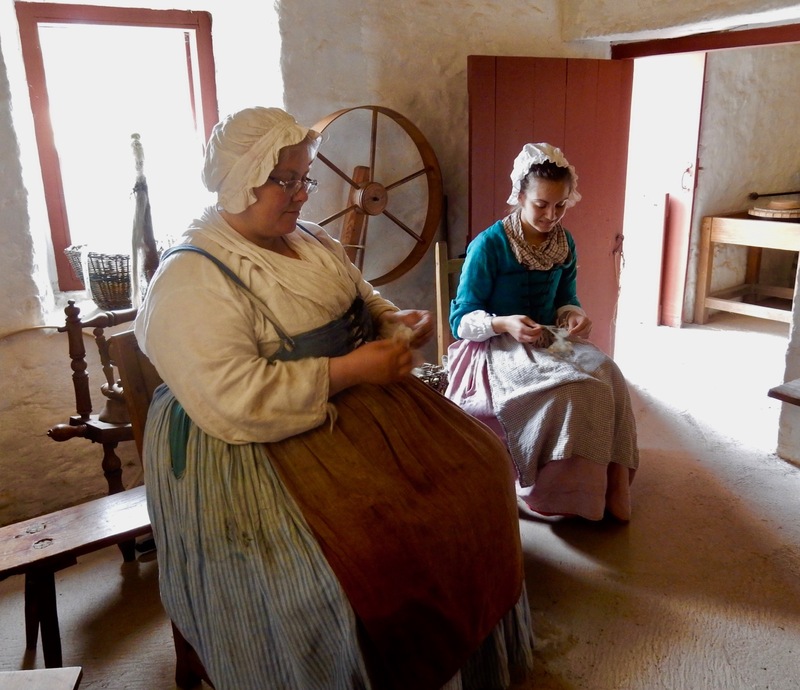 At the nearby whitewashed thatched Irish Farmstead, originally from County Tyrone in the Ulster Region, women are hard at work making linen; extracting fiber from flax plants, spinning and weaving. During the 1700’s – rocky years in County Tyrone’s linen industry, a good number of Irish natives sought better opportunities in New World. 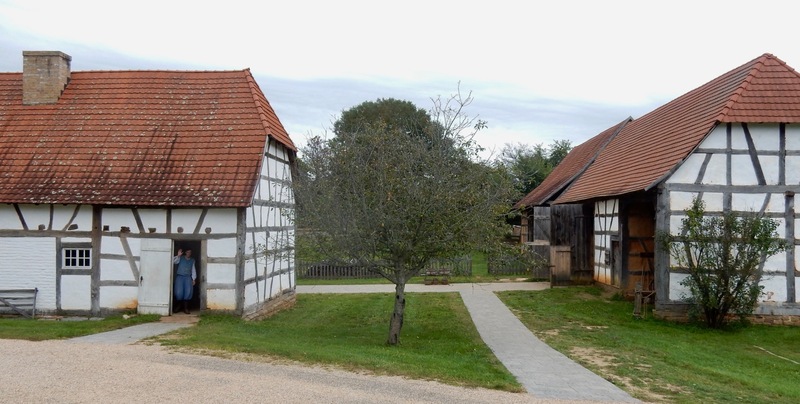 The German farmhouse built in Horat, Germany in 1688, features a “stuba” – a living room stocked with musical instruments and strategy and gambling games that fostered critical thinking about the inevitable vicissitudes of farm life – important lessons on the frontier. The Museum also encompasses the 1869 Mt. Tabor Church – one of the first African American churches, most likely built by slaves or by the next generation. The Frontier Culture Museum has expansion plans, as well, with a Gristmill and working Artisan Village in the offing. Open daily 9-5, winter 10-4, $12 adults, $7 kids, $45 for a family of four full year pass. TOUR: Woodrow Wilson Home, Museum and Library. Born here on December 28th, 1856, President Woodrow Wilson would make his very last visit to his home on his 56th birthday, a few days before his inauguration. By age 39, Wilson had his first stroke, suffered two more after moving into the White House, and was very sick during the last 18 months of his presidency (some credit his wife, Edith, with running the country at this time). Despite his disabilities and illness, Wilson presided over our nation during the first World War, and the Spanish Flu epidemic of 1918, established the Federal Reserve and Federal Trade Commission, and was in office for the passage of the 19th Amendment – the Women’s Right To Vote Act of 1920 – acquiescing only “after some arm-twisting from his wife.” Wilson was a proud Virginian, who claimed that “a man’s rootage is more important than his leafage.” Plan on at least 1 ½ hours to take a 30 minute tour of the home (renovated in the 1930’s to appear as if the Wilsons still live there), a self guided tour of the Museum, and to peruse the gift-shop. Open 9-5 daily, in Jan/Feb Thurs-Mon. $12. MAKE/SHOP: Sunspots Studios. 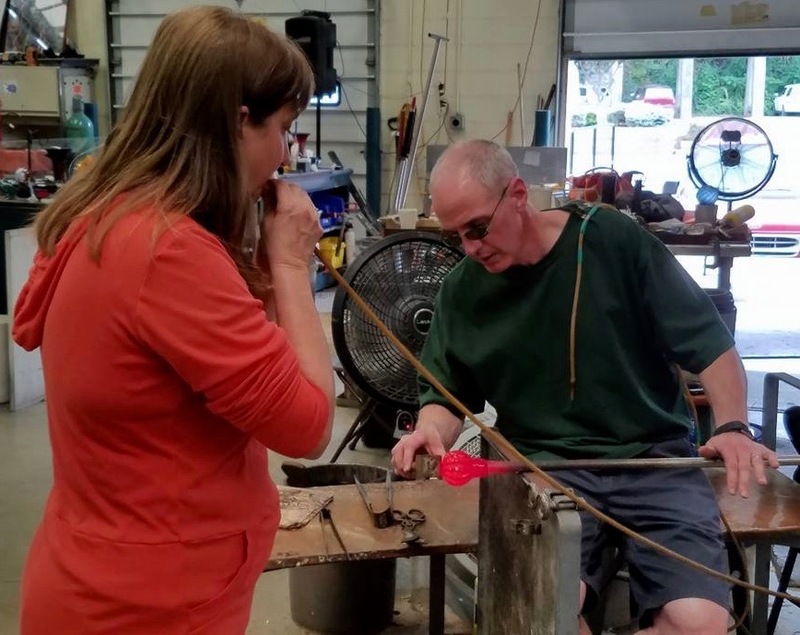 Ever wonder what it’s like to get off the viewing stand and help a professional glassblower with his craft? This is your chance, and it’s lots of fun. Though your role in the activity is small (choose from an assortment of vibrant colors and then blow air into a rubber tube to inflate a teardrop of molten glass while the artisan shapes it), you’re right where the action is and can take “your” creation home the next day after it’s had time to cool. Sunspots’ owners, Doug and Caroline Sheridan, opened this space in 2000 as a lovely glasswork gallery, adding the Studio a year later. 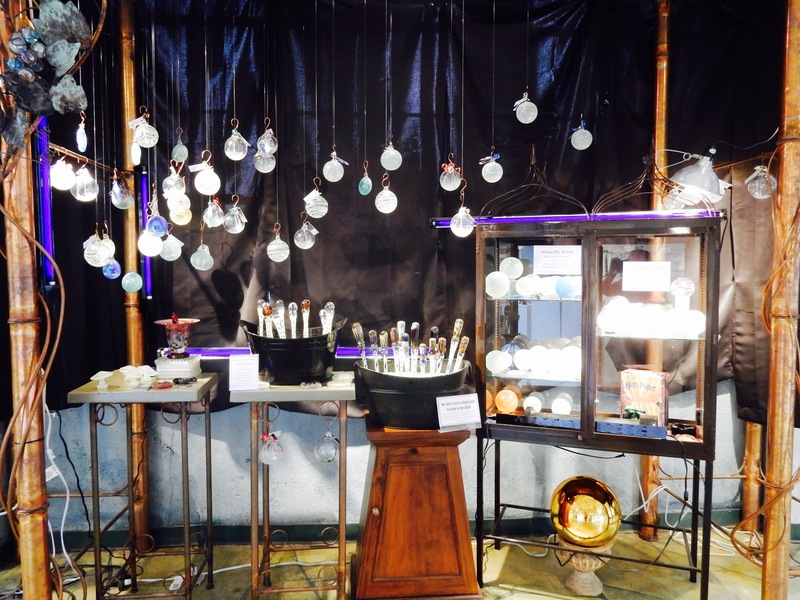 Now, even if you do not participate in the making, you can still take home a gorgeous hand-blown piece of art. Open Mon-Sat 10-6, Sun 11:30-5, make your own – $45 or $50 depending on ornament size and color. TASTE: Ox Eye Vineyards Tasting Room. 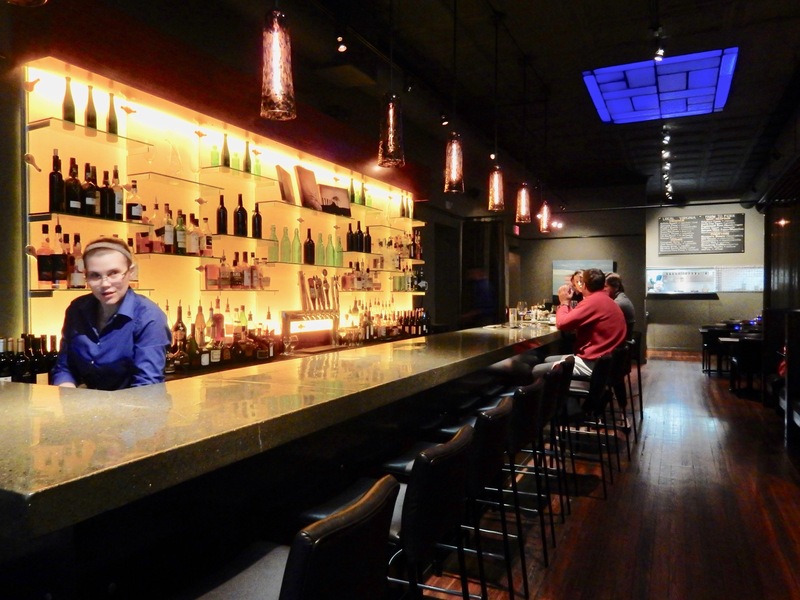 You’ll find this modest tasting room directly across the street from Sunspot Glassblowers. 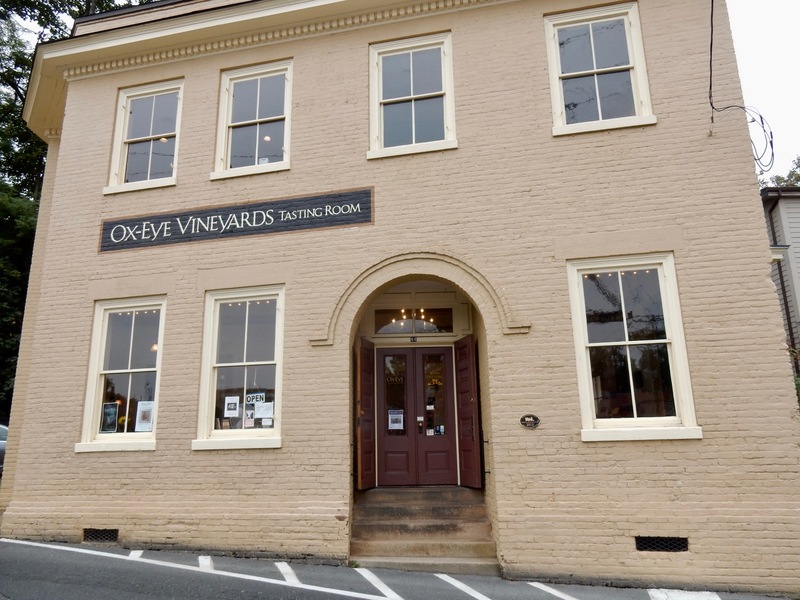 Ox Eye began as grape growers for other wineries in the area – a region known for cool-climate varieties. Ox Eye’s grapes are grown “in the mountains” and thus produce fantastic Riesling, Cabernet Franc, Pinot Noir, and other dry varietals. $7 for a taste of 10 wines. 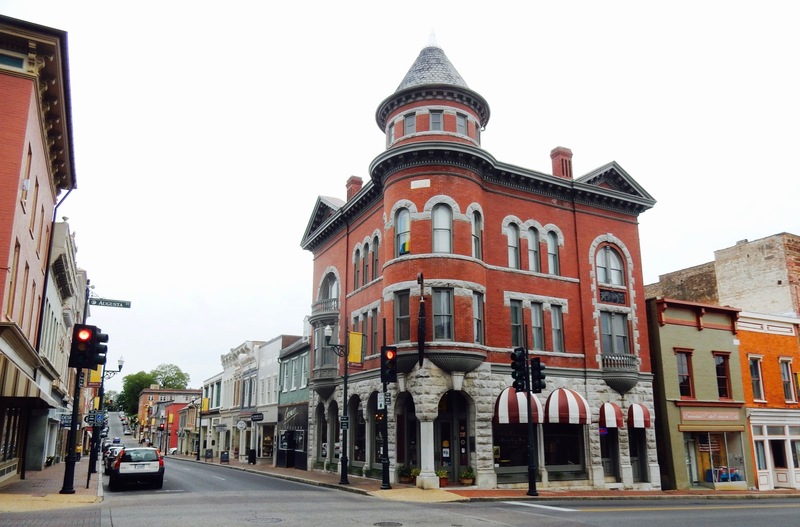 WALK/ARCHITECTURE: Downtown Staunton. 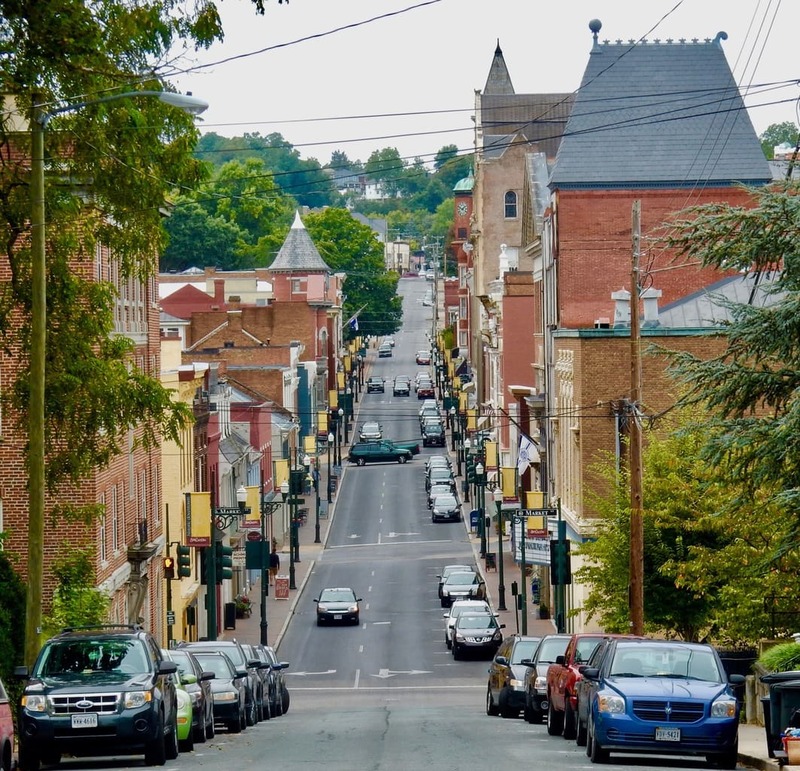 Once on the edge of the American frontier in the foothills of the Blue Ridge Mountains, Staunton was the last stop on the railroad line and “a rockin’ place” post Civil War. By the late 1800’s it was the perfect canvas for architect TJ Collins who was enamored by Classical Pattern Books from Europe, and designed over 200 buildings – no two alike – in a timeline of styles from Greek, Roman, Moorish, Gothic, Renaissance, Victorian, and other “patterns” from all over the world. Though boutiques, galleries, antique emporiums, and celebrated restaurants have been attracting a growing number of visitors, a stroll down Beverly Street and its offshoots, even if you don’t shop or eat, is a feast for the eyes. 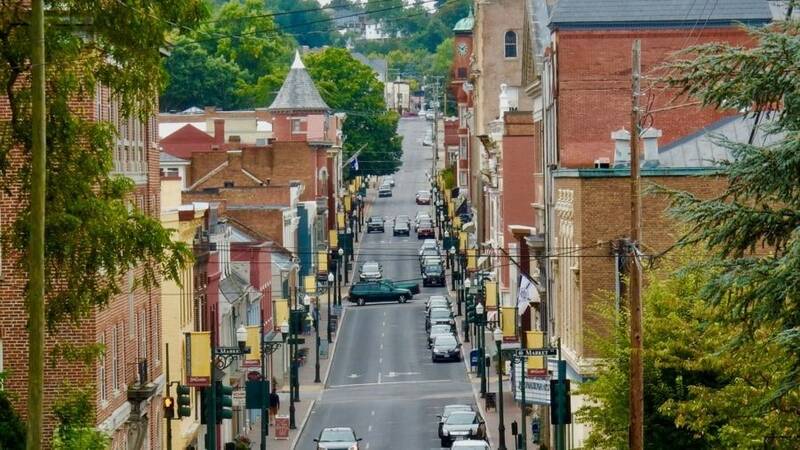 SHOP: Downtown Staunton. 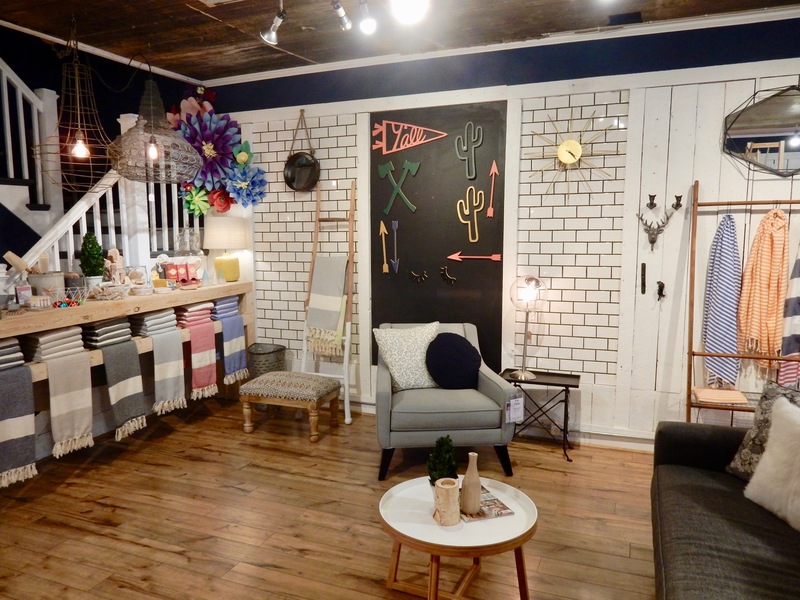 There are stores of all kinds, though we do have our funky-favorites, including MADE By the People For the People for all kinds of handmade crafts and Redwood & Co for crafty furniture and home goods. STOP: Appalachian Piecework Antique Quilt Restoration and Care. In this toss-it-right-out consumer society, it’s sometimes shocking to realize that many of our ancestors made their own tablecloths, sheets, and bed-coverings that have stood the test of time, and have been passed down from generation to generation as family heirlooms. 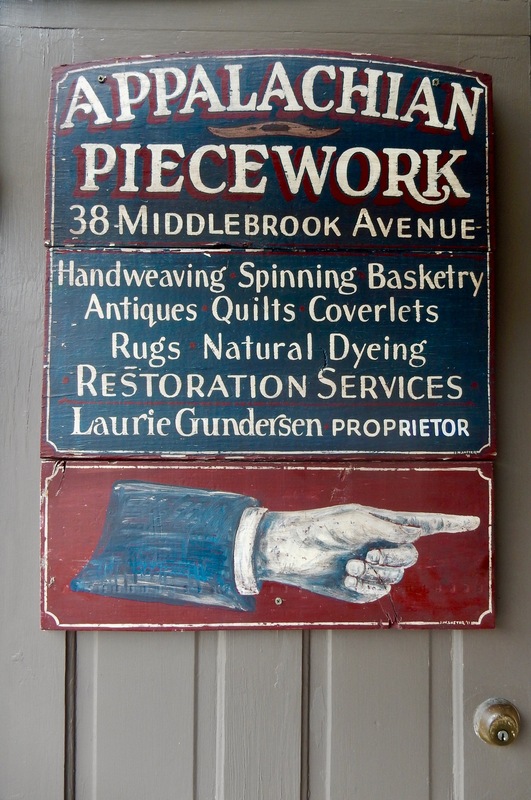 If you are lucky enough to have Great Grandma’s quilt, and need it fixed or restored, this very specialized shop and service is the place. TASTE: Shenandoah Brewing Co. Playing off local Shakespearian and mountain-men themes, brews like Hoppy Macbeth and Bluegrass Blend bring ‘em in to this downtown spot where you can also get snacks and flights for $2 per taste (for each 5 oz pour). 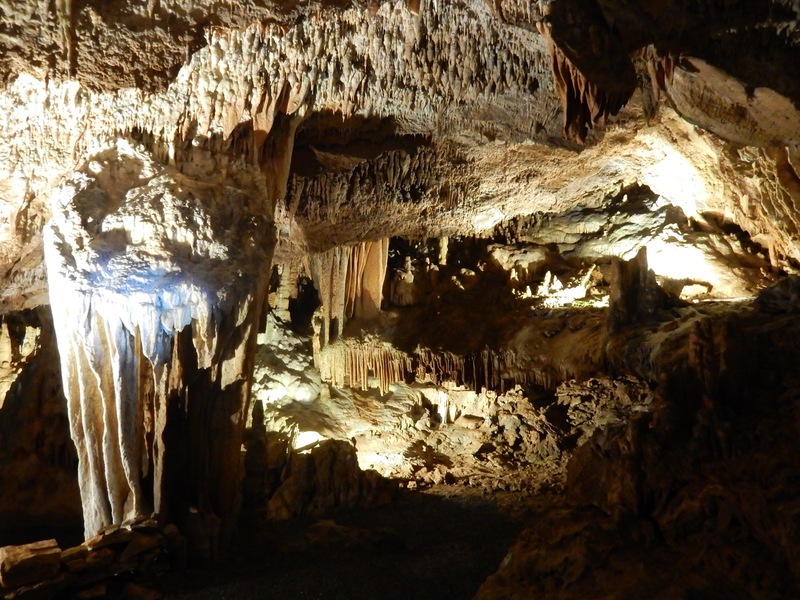 TOUR: Grand Caverns, Grottoes. Grand Caverns, “The oldest Show Cave in America,” has been offering tours consistently since 1806 – and was even an off-duty tourist attraction for soldiers during the Civil War. During the Victorian-era, intrepid curiosity seekers used candle-light to crawl and climb though the caverns, taking over eight hours to cover the same ground that the modern visitor traverses in just over a hour. Surprisingly, with all this past fame, hardly anyone outside of the area knows about this cave system. That’s because it’s not right off of I-81, and sits about 20 miles from Staunton. That’s a big shame, and there are several reasons why everyone should visit. 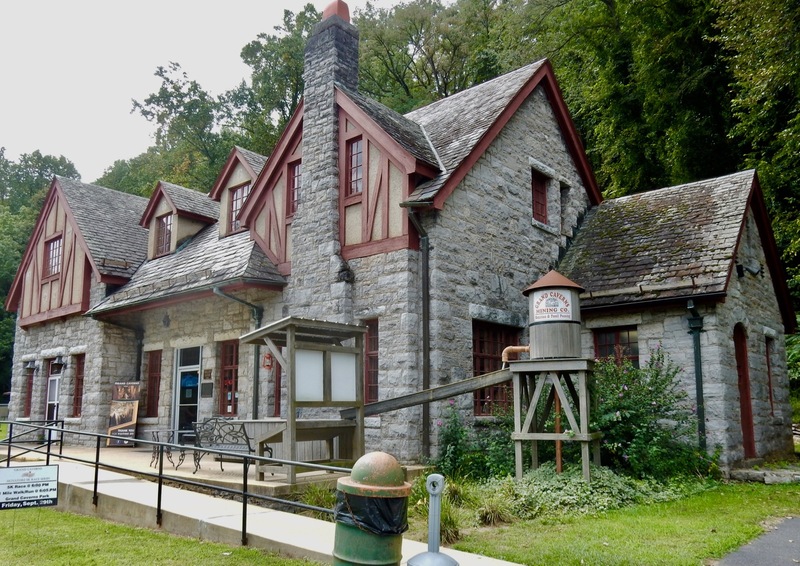 First of all, it’s owned by the people – the Town of Grottoes, population 2,500, acquired it when the Upper Valley Regional Park Authority was dissolved and gifted the attraction to the town. Secondly, most caves have horizontal bedrock, but the underlying rock here is vertical. And most importantly, there are more “Shield Formations” here than in any cave in the country. Most cave systems have one, if any, such structure; “shields” are that rare. However, Grand Caverns features over 200 of these thin round disc formations, and their unusual horizontal growth is still a mystery to scientists. 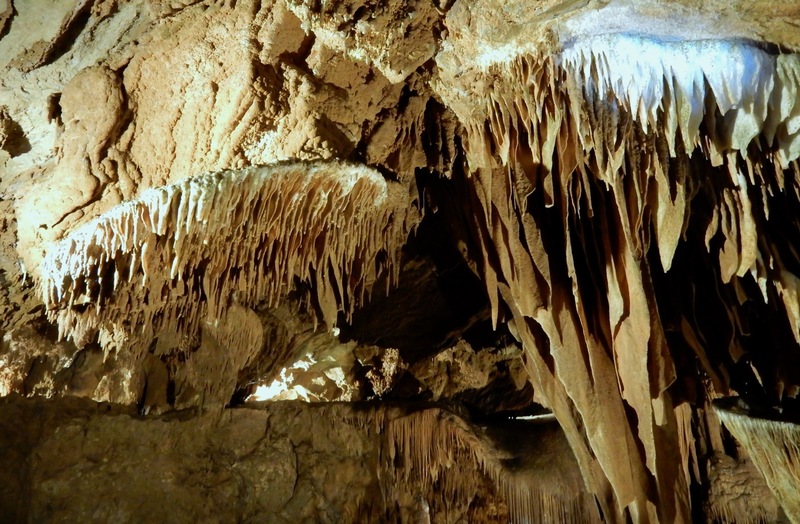 Named a National Natural Landmark by the Secretary of the Interior, Grand Caverns attracts 40,000 visitors a year for its 70-minute 1.5-mile tours. It’s well worth a drive from anywhere. $20 adults, $11 kids. 9-5 April – Oct. 9-4 Nov-March. EAT: Zynodoa. This innovative Southern-Cuisine restaurant wouldn’t look out of place in, say, Manhattan, with its dramatic back-lit bar and dark grey walls peppered with vividly colored art. 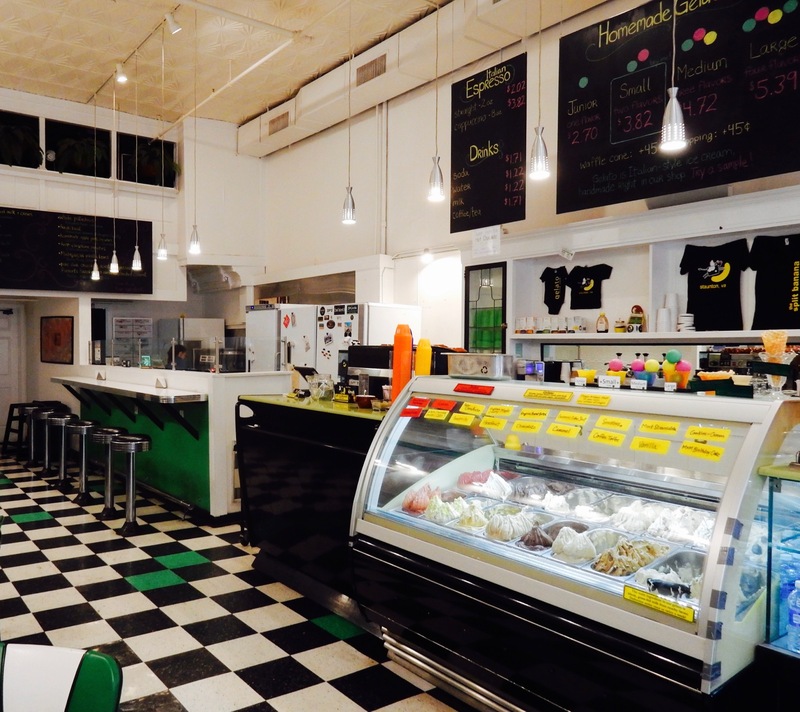 But Zynodoa has earned its cornpone-chic reputation as a destination restaurant in small-town Virginia. Naturally, there’s Cast Iron Cornbread ($8), but Zynodoa’s version, a caramelized disc of sweet cake topped with a film of crunchy sugar – a Bluegrass Crème Brulee, if you will – is a danger to all dieters who dare order it. 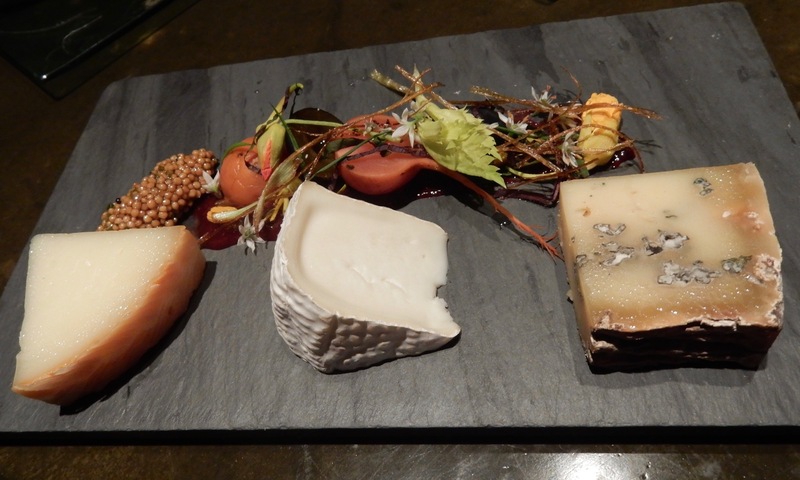 Menu items, including the thoughtful cheese assortment presented on a slate slab, are beautifully plated. And dishes like the Southern Fried Catfish ($11), and Polyface Farm Molasses Brined Chicken and Dumplings ($24) prove that the chef has skillful ways with even the most comfortable of comfort food ingredients, most of which are sourced locally. It is no wonder that Zynodoa is considered the top restaurant in town. EAT: Locals also recommend The Shack – a “not fancy” eatery with a James Beard Finalist chef, Farmhouse Kitchen & Wares, Mill St. Grill, Depot Grill, Yelping Dog for bottles of wine and gourmet grilled cheese, and The Split Banana for an ice-cream splurge. 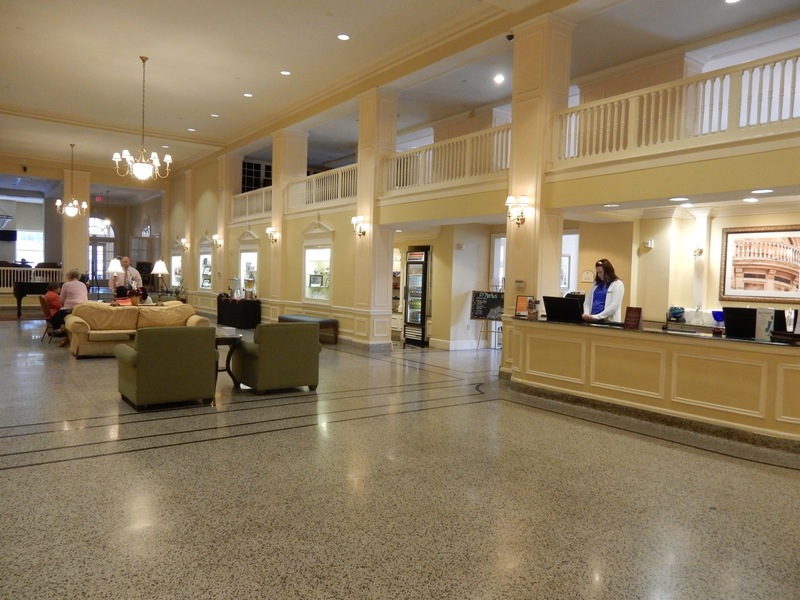 STAY: Stonewall Jackson Hotel. 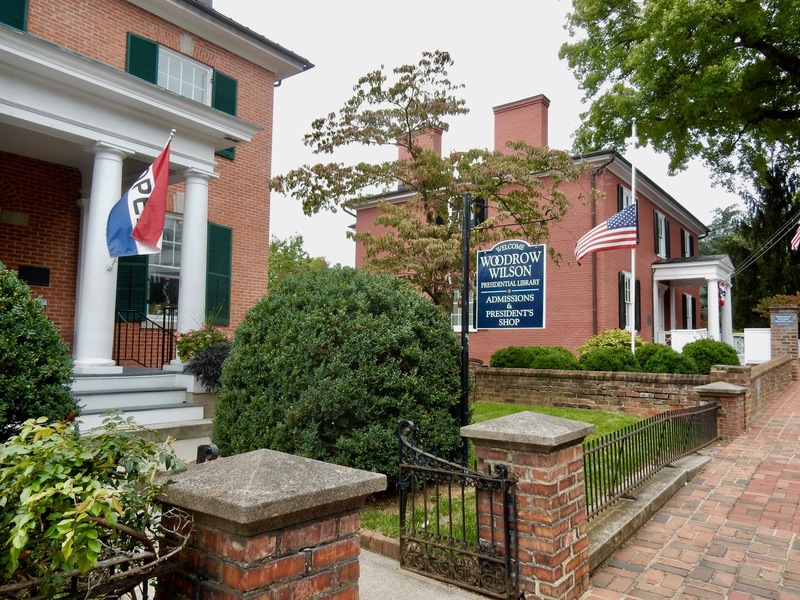 The Stonewall Jackson is best positioned for visitors who want to visit the Woodrow Wilson Home and Library (about a block away), tour or see a Shakespeare play at Blackfriars Theater next door, and walk downhill to shop and take in the magnificent architecture. 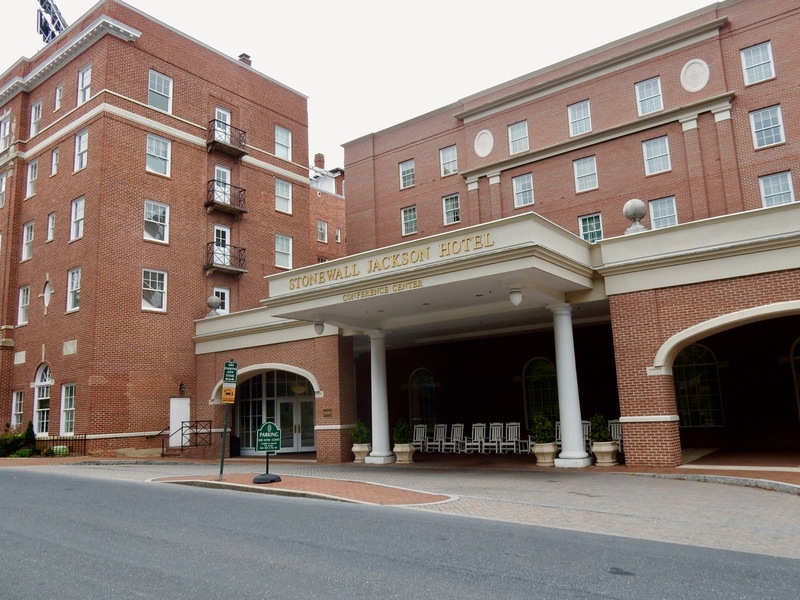 Be assured, this historic brick hotel has more in common with Shakespeare and Staunton’s notable downtown streets, than it does with it’s namesake, the Confederate Civil War General “Stonewall” Jackson. In fact, this hotel offers packages that include tickets to shows at Blackfriars and other perks. The large granite-floored lobby is a bit stark, but some furniture warms it up a bit, especially when members of local organizations and businesses overflow into areas of clustered seating, animatedly discussing local matters. Rooms are subtly decorated in neutral earth tones; white duvets are wrapped around comfy mattresses, granite sinks and photo-art enliven the bathrooms. The whole hotel, first built in 1924, was renovated in 2005, and though not “boutique-trendy,” guest rooms, which feature photographs of local architecture, are upscale-fine for discerning guests who want to stay where the action is. The adjacent garage charges just $6 a night. Not bad for an in-town hotel. 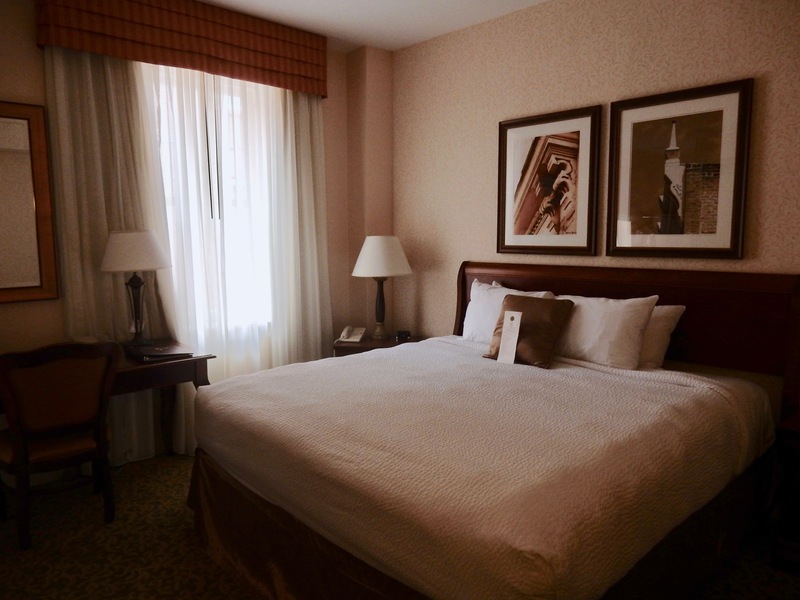 Rooms, from $119 offseason, include free wi-fi.